I've been very slack with posting a blog when our new 'Fork This' episodes go up. So here is one to catch you guys up on our podcast. Fork This - 002 from BJ Carter on Vimeo. Fork This - 003 from BJ Carter on Vimeo. FTI TV - 004 from BJ Carter on Vimeo. Here's another one of my crazy comics from the past. I woke up yesterday morning in the mood to blog. But unfortunately my day did not allow that to happen. SOOOO today i decided to make some time to come on a give an update on how my June Goals are going. With only 6 days left of June AND the fact that i didn't set my goals at the beginning of the month... I think I'm doing pretty well with achieving them. The first three goals are all ticked and completed. I FINALLY posted out the earrings that i made back in March. Two lovely ladies i know saw photos of them, told me they liked them and that was it... 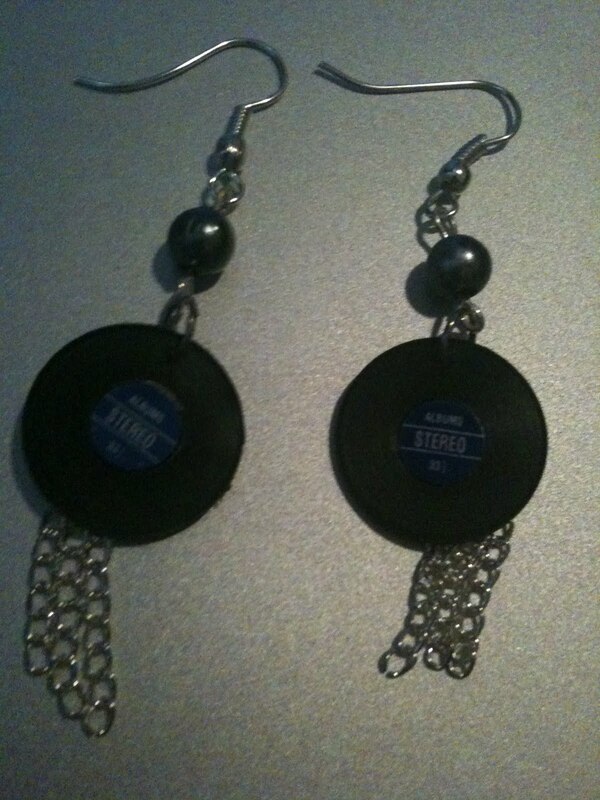 The earrings were there's. They just had to wait for me to get off my bum and get them in the post. I sent a few extra goodies as well which i wont mention just in case they read this before receiving them. 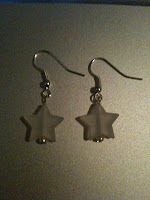 I made several new things, but nothing jewelry related. I can't really discuss them on here as they are top secret. One of them i will be able to talk about soon though. 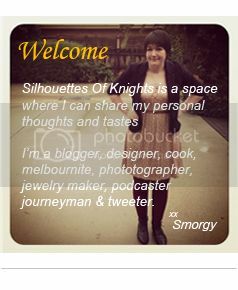 I also decided for the moment i would not renew the hosting of www.silhouettesofknights.com. I'll keep the domain going, but put a hold on the hosting for the moment, until i feel more motivated to revamp the website and put some more effort into it. Changing my hair is still playing on me... I'm kind of thinks about just letting it grow for the moment and see where that takes me... But it always gets to a point that i cannot stand it and since i work right next to my hairdressers, i just go straight up, make an appointment and get it all chopped off again. I have been blogging a whole lot more recently then i ever have. And i have plans for it to happen even more in the near future. I'm happy to tick that one off my goals list as it's something that gets me motivated to do other things. And when i see that people are actually reading my blogs, commenting on them and enjoying them... That just makes me want to blog even more. I've gotten my Diana out to play a couple of times... No SLR though. I've take some interesting photos with the diana. On one of them i used the splitzer and it came out really creepy. Goal number 8 was to continue with my diary.. This i have not done, and don't know that i will this month. But it wasn't high on my list so I'm not too worried about it. The other three that I'm yet to cross off are 'Find a way to make new friends', 'Listen to more music' and 'Smile!' - I'm working hard on the friends thing but don't quiet know If that will get a tick just yet. Music is always hard fit in because Podcast's take up a lot of my driving time. But I'm making the effort to change that. And lastly, to smile... I think this month I have gotten to a better place in my life and smiled a whole lot more then last month. But i won't tick that off until the end of the month. So that's an update on my goals... I think I've done pretty well with them and in 6 days i will have to come up with a new list for July. P.S: I'm really loving Hanging with Friends. I'm 'Smorgy!' come and hang with me. P.P.S: My car (Norman Bates) clicked over to 6,000 this week. I took a video to mark the occasion. This weekend was one that i will never forget. Around 8 years ago a friends sister at school invited me to a local all age gig to see a band called The Tall Poppies. I remember the nerves. Not knowing what to wear, not knowing what they sounded like and going out with a group of people I'd never hung out with. But i went to this place call TLC and was introduced to a new world. I met this band that was soo down to earth and friendly, made friends with other fans and developed a love of a new kind of music and a love of badges. I continued to go again and again seeing other bands and enjoying it all more and more. Through that scene I was introduced to band forums which i excelled in. To sit in front of a computer all night and post to people i don't know about stuff we both enjoy. Forums are my thing (I mean, i met my partner of 6 years in a band forum so I fully support them). And then i found a band called Mightyboy. With two of the nicest guys (and the nicest roadie) I've ever met. They were soo welcoming to new fans. I started talking to them all on their forum and MSN chat (back in the day) and never expected that in the future i'd be able to consider them friends. My first overage gig was a Mightyboy gig. It was an awesome night but when thinking of it the first thing that comes to mind is Broni's Tonka tshirt. I continued to see MB and TPP whenever and where ever i could. Members started new bands and side projects. And i was lucky enough to be able to continue to follow and support them all as they grew and changed over the years. Saturday night, these two bands reunited for one final night.. a charity event to raise money to assist children who have been abandoned due to parents drug addictions. Something that i am very much willing to support + two of my old school favourite bands playing again... As if i couldn't go to THAT show. It was a night of great music. Not only the two bands mentioned about but Broni performed a solo set which is always enjoyable (Especially when your sitting with my mate Jarryd) and gpop did a set as well. It's been quiet some time since I'd seen a gpop set so i was really excited for that too. There were also two other bands which I'd heard of but never seen. Polar Disco and Cooper Street Exit... Both AMAZING bands which I really enjoyed. I mentioned my mate Jarryd above. I met Jarryd at a TPP gig. This young little over-excited kid who just made friends with everyone. It seemed fitting that i went to this gig with him. Watching Mightyboy play made me sooo happy. Speds (the singer) was in his element, and nothing could have knocked smile off his face. They all looked like they had never stopped, like they still play together every weekend. It was great. I got to sing and bop along to all the songs i still to this day listen to and love. After MB finished someone arrived who i wasn't expecting to see that night. Jess, who is the friends sister i mention early that brought me into this world of local rock bands. I was soo happy that she was able to come down because it was just the cherry on top of what was already a great night. There were people i remember from back in the day, who were always at the same gigs as me. And then there were people who have come into the picture since these two bands ended, and came to experience and support this reunion. And they did not go home disappointed. When TPP came out in there costumes, it was a perfect touch to the evening. Everyone just started jumping and enjoying themselves as the music played. Singing along to the classics. Everyone had a smile on their face by the end of the night. After they finished i did my rounds to say goodbye to all my mates. People that without these two bands i never would have met and gotten to know over the years. People who I'm proud to call friends. They are soo amazing and I look forward to continuing to support them for many years to come. To Gez, Speds, Broni, Gimp, Jarryd, Jess, BJ - You guys are what made this music fan you see before you and i am soo thankful for all that you have shared with the world. I will always be there bopping along. 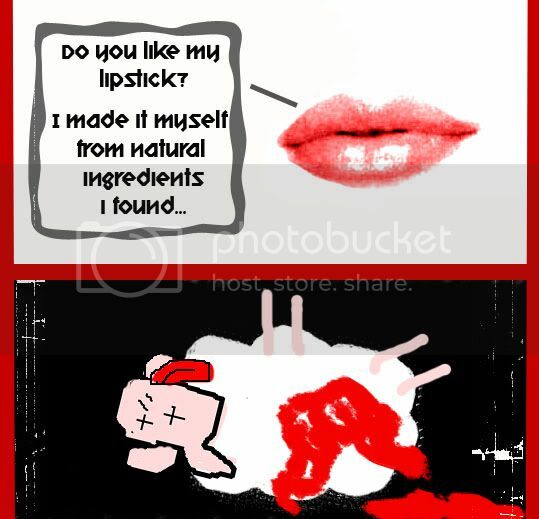 I had a request for more of my Mutilated Lips comic. I never use to have a problem making friends (I dont think) but these days, it's just work, work, work and since I'm in a small office with few staff i dont really have the opportunity to meet a lot of people my age and create new friends. One of my goals for this month is to make a new friend and I'm trying to figure out how i can achieve this. I want this to be a real friend, not just someone i meet one night and add on facebook and that's really all it is, I want someone that i can friends with for years to come. A true friend. I find myself looking at my facebook feeds and see all the people adding new friends weekly... But i havent added anyone new for a few months. I get myself in a train of thought.. What are they doing that I'm not? Am i just not a friendly enough person? Why do they make friends so easily? Then i start to wonder further... These people have over 300 'friends' on there facebook. Are they really friends? Have they physically met these people? Are they people that they went to high school with and was never friends with then but decided to add them anyway? Friends of friends of friends who you met one night out drinking but don't really know? People who they met whilst traveling years ago but have not spoken to since? If you were to sit down and go through your entire list of friends, How many 'friends' are there who you could remove without making any difference to your facebook life? How many would not be missed from your feeds? How many who probably remove you if they bothered to go through there list? Even if i went through my list i know i would find people that i know of school but haven't seen for 6+ years and having spoken to for almost as long, People who i dont ever hang out with, People that don't make a difference to my life by being my facebook friend. I see people add new friends on a daily basis... It seems soo excessive to me, but maybe it's just because i don't do that myself. I don't accept everyone who asks me to be their 'friend'. I want my list to be of actual friends... People that i plan to be friends with for a very long time.. I want people who I enjoy hearing from and reading updates about. I've been told I should just bug people until they like me. But that's not me... Bugging someone until they become my friend. If i have to bug them into it, then obviously it's not something they want and why should i put in so much of an effort? I feel like to make more friends i need to change the person i am... But i don't want to do that either. There are plenty of people who like me for me so why be someone else to make friends who probably won't be real. I've tried to organise group dinners and meetups in the past but they always seem to fail so I've given up on organising things. And I find when my partner and I do hang out with a group, they are more interested in talking to my partner and I'm on the side lines just watching. Do I need to be a different person? Do I need to join a group of some kind? So I've decided that I'm going to set at least 5 goals at the beginning of each month for me to achieve. Nothing ridiculously hard, just things to get me moving and motivated. And I'm going to blog my goals each month to make myself accountable. 4/ Change my hair in some way - New colour? New Style? New cut? Fork This - Episode 1 is out!! Hey guys just a quick blog to let you know that Fork This episode 1 is now up in iTunes. You can go, subscribe and get our epsiodes as they go up (EVERY SUNDAY). Or you can go our website and check them out there. Fork This Episode 1 from BJ Carter on Vimeo. So my partner BJ Carter and I have decided to start a video podcast called 'Fork This'. I've thought of many ways to try and explain it and i just cannot find the right words to really make it sound awesome. It's going to be little videos of the two of us. We'll do cooking episodes, advernture episodes, flashbacks on our travels, updates on our lives... pretty much anything and everything. I thought it was a great idea to start this podcast because we have soo many friends overseas and this gives them an opportunity to see what we are upto and where life is taking us. But also i thought it would be a lot of fun and a way to show our odd side to the world. We've finally appeared in iTunes (After waiting about a week) and The first episode will air this Sunday 5th June. Subscribe... Tell your friends... Follow us on facebook... and let us know what you think and what you want to see in future episodes. Fork This Promo from BJ Carter on Vimeo.